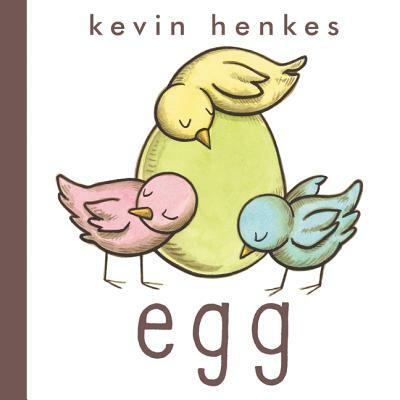 Caldecott Medalist Kevin Henkes’s Egg tells an unforgettable story about four eggs, one big surprise, and an unlikely friendship. This masterful and bestselling board book introduces young children to four eggs. One is blue, one is pink, one is yellow, and one is green. Three of the eggs hatch, revealing three baby birds, who fly away. But the green egg does not hatch. Why not? When the three birds return to investigate, they’re in for a big surprise! What will happen next? Kevin Henkes is the nationally bestselling author of Lilly’s Purple Plastic Purse, Waiting, and Kitten’s First Full Moon, among many other beloved titles.